SAGE’s Criminology books support students, lecturers and researchers at every stage of their academic career, ranging from introductory textbooks, to higher-level critical titles and reference works. With leading international authors and editors covering topics such as policing, penology, youth crime, criminological research, and terrorism, you’re sure to find something of interest. If you’d like to see a list of brand new titles, bestsellers and our Editor’s top picks, check out our new page HERE. 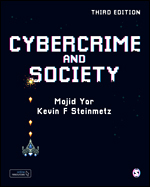 "Packed with reams of new, cutting edge material, Majid Yar and Kevin Steinmetz have managed to broaden an already capacious volume. This is the definitive book on the subject." 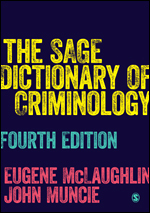 "The Sage Dictionary provides the reader with an authoritative account of the evolution of criminological terminology, insights and debates. An invaluable resource for students and scholars alike." 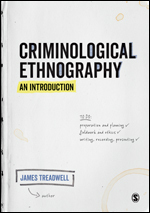 "This text reinvigorates the debate over the role of ethnography in the study of crime and criminal justice and will serve as an invaluable and insightful resource for both novice and seasoned ethnographers of criminological issues."